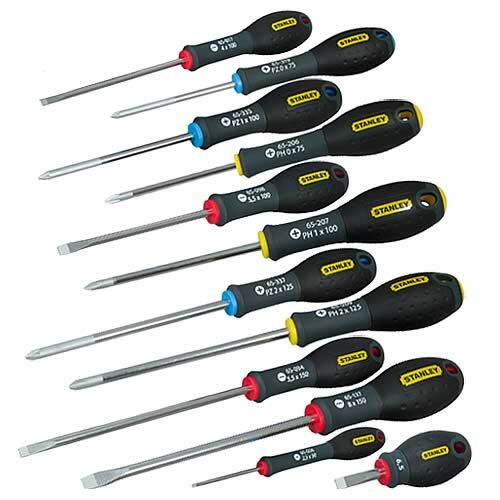 FATMAX™ 12 piece screwdriver set with Chrome vanadium steel bar allows for high torque and reduces the chance of tip breakage. Shot blasted tips ensure improved torque and corrosion protection. Handle moulded direct to bar virtually unbreakable bond. 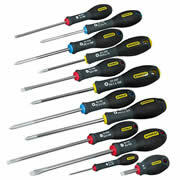 Highly reliable, providing an extra long life.